Hey , how do you build a kext. Does a knowledge of C/C++/Assembly Programming is required or just patching old kext. I am trying for my Intel Wifi 5100 AGN. Hi! 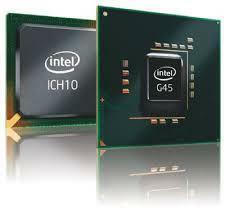 I have Lenovo G450 with intel GMA 4500m. Can i use this kext? What about QE? use the 2A42 and QE is enabled through Quartz Debug,ITS NOT HARDWARE QE! @macos665 : Thank You so much. Can you please provide me your email ID/twitter/facebook , so i can contact you in future. @macos665 : how to make resolution 1366x768? I can't. What kext i must to install? Only 2A42? And what about os x lion (32 or 64)? Thnank's. This Kext only brings Resolution. Can play Videos Smoothly , nor visual effects. yeah but until and unless we don't have hardware QE/CI , it doesn't matter. Can u tell me how to install this driver in Lion with boothink or Chameleon, pls help me ,thanks ! thanks your response. the install way is below, Is it right ? There are three kexts in the compression file graphics.7z . I don't know which one i can install with KextWizard in Lion .my device id is 2A42, Is it (2A42)AppleIntelGMAX4500:M:MHD-FB.kext? and Can this (2A42)AppleIntelGMAX4500:M:MHD-FB.kext use in x64 mode?? new 1920x1080 display on VGA port works I'm so happy!